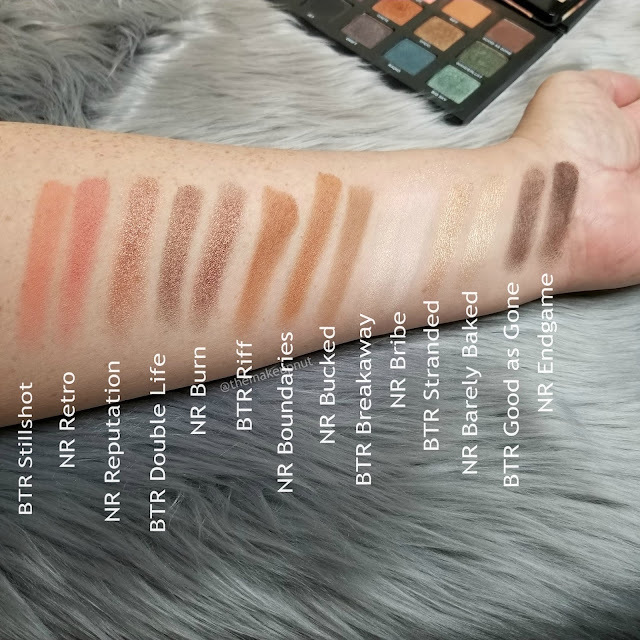 So as I am playing with and loving up my new palette, Naked Reloaded, I noticed that the shade Burn looked really familiar. I grabbed some of my palettes to see where I had seen it before. Wasn't I a little surprised to see where the 'dupe' came from. 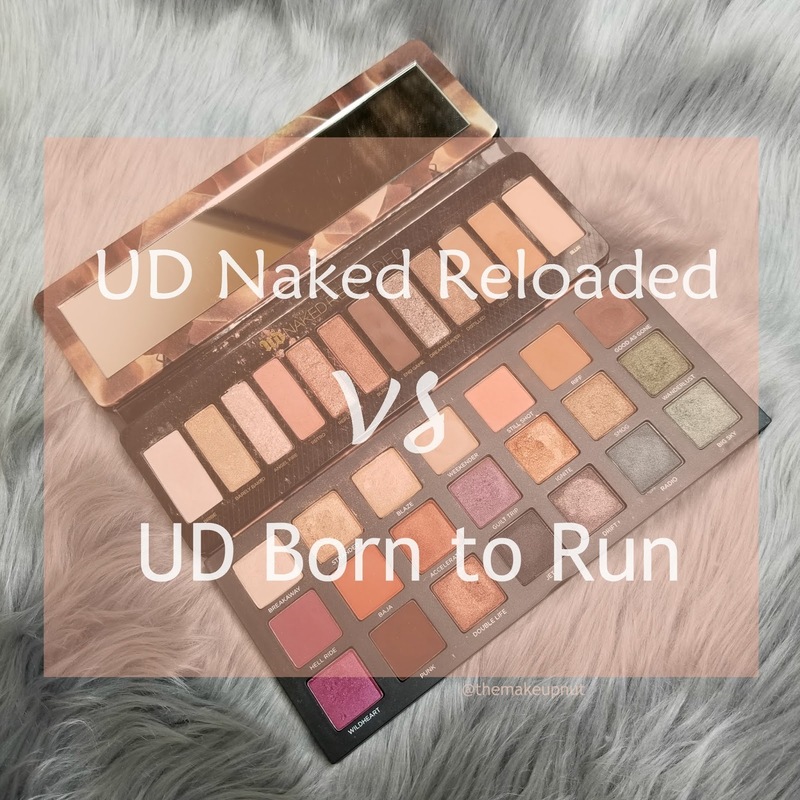 A lot of people compare Urban Decay Naked Reloaded to ABH Sultry palette or the OG Naked palette but perhaps Naked Reloaded should be compared to its sister palette, Urban Decay Born to Run. When I first started swatching Naked Reloaded, I noticed a familiarity with these shades. Not just Burn but several others looked and felt similar. Born to Run came to mind as I had just used the that palette that morning. It turns out NR’s Burn and BTR’s Double Life were almost dead on dupes of each other. I also swatched a few more shades and the similarities are pretty damn close. Close enough that I started getting a little buyers remorse for picking up the Naked Reloaded and then I remembered that I essentially got it for free so I can live with this betrayal. Just kidding, it wasn’t a betrayal just a F$@k Me moment. - BTR Stranded is ever so slightly more golden that NR Barely Baked. - also to note, if you put down a base of NR Bribe and top it with NR Angelfire, you kind of can get something similar effect to BTR Blaze. Do you need Naked Reloaded if you already have Born to Run? I’d say no. 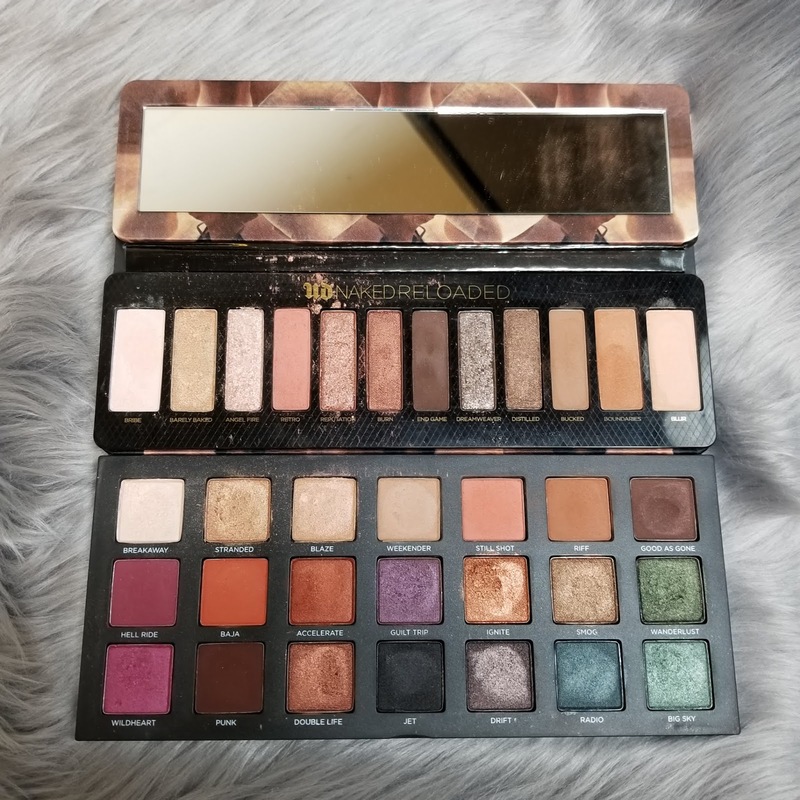 Almost half the shades are so close to what you can find in the Born to Run palette. 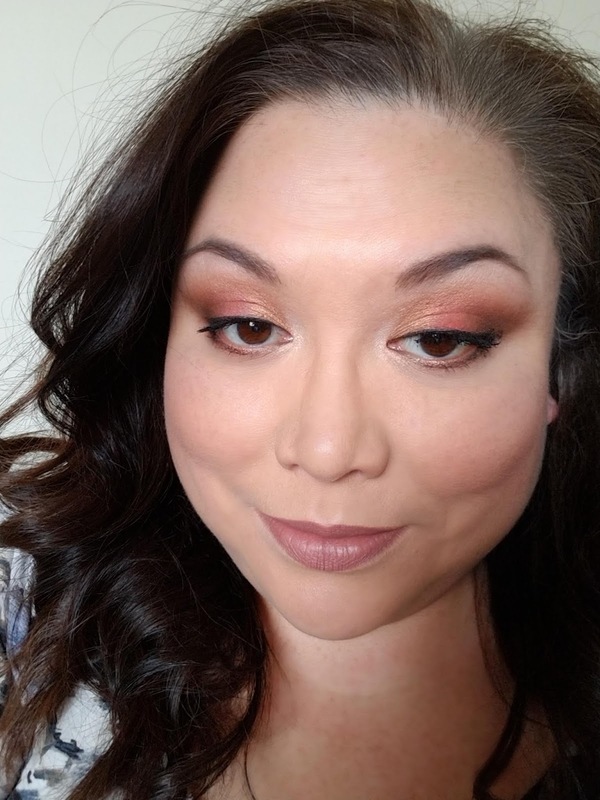 I would say only grabbed it if you really want those coppery metallic shades or really love Urban Decay. 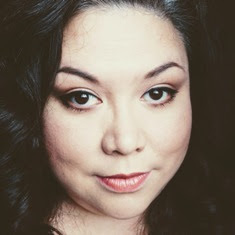 Some key players in the Naked Reloaded are already covered in the Born to Run palette. With some nuance differences, you can probably create the same looks. In fact I created this look below using the Naked Reloaded on one eye and Born to Run on the other. Can you tell the difference? What do you think? Am I seeing things? Are they close enough to be considered 'dupes' or repeats? Is it a dupe if it is the same brand?